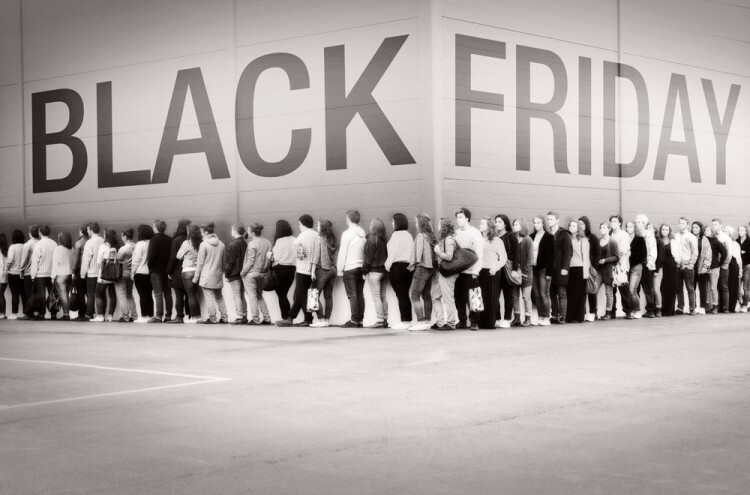 After plenty of teasing and early Black Friday sales, the biggest hot deal day of the year has arrived. Our deal hunters are over-caffeinated and smell a little ripe, but have managed to collect the massive list of killer deals you see below. This collection represents the lowest prices of the year on some of the hottest tech and other goodies around. If any of these deals expire before you can snag them, head over to our partner's site LogicBuy.com to get the latest Black Friday deals. Valid 8am 11/29 - 7am 11/30: Dell Inspiron 11 Dual-core Touch Laptop w/2GB RAM, 500GB Hard Drive & Windows 8 for $299.99 with free shipping (normally $399.99 | via Dell). Valid 11/28 only! Toshiba Satellite C50-ABT3N11 15.6" Dual-core Laptop w/6GB RAM (customizable) for $279.99 only (normally $399 - use coupon code: BFC5050 ). 76 15.6” Dell Inspiron 15 4th-Gen Core i5 Laptop w/6GB RAM & 750GB HDD for $449.99 with free shipping (normally $749.99 - use coupon code: HF08ZLDCXJM19W | via Dell). Lenovo IdeaPad Y410p 14" Haswell Core i7 Gaming Laptop w/ 2GB GeForce GT 755M for $729 with free shipping (normally $1,299 - use coupon code Y410P73DB | via Lenovo). 69 Lenovo IdeaPad Flex 14 Haswell Core i3 Convertible Touch Ultrabook for $549 with free shipping (normally $799 - use $250 coupon code: FLEX1410DB | via Lenovo). Lenovo IdeaCentre A730 27" 4th-gen Core i7 Haswell 1080p All-in-one Multi-touch PC w/ 2GB GeForce GT 740M & Blu-ray for $1,299 with free shipping (normally $1,999 - use coupon code A730DEAL | via Lenovo). 81 Up to $400 off + $50 Coupon: 17.3” Alienware 17 Haswell Core i7 Gaming Laptop for $1,399.99 with free shipping (normally $1,499.99 - use coupon code: 2M66J?BPVPP$F3 | via Dell). 77 25% off! Lenovo ThinkPad X1 Carbon Touch Ultrabook Laptop w/128GB SSD for $1,086.75 with free shipping (normally $1,449.99 - use coupon code: DOORBUSTER | via Lenovo). 79 30% off! Dell XPS 8700 Core i7 “Haswell” Quad-Core Desktop w/8GB and 1TB HDD for $649.99 with free shipping (normally $924.99 - use coupon code: HF08ZLDCXJM19W | via Dell). HP Pavilion 500-210qe 4th-gen Core i5 quad-core Haswell Desktop for $469.99 with free shipping (normally $599.99 - use coupon code:SVD8492) | via HP). 74 Microsoft Surface Windows RT Tablet for $199 with free shipping (normally $349 | via Microsoft Store). 74 Lenovo Yoga 8 16GB Android 4.2 Tablet for $249 with free shipping (normally $269 | via Lenovo). 75 Dell Venue 8 Pro 32GB Windows 8.1 Tablet + Folio Case & 1-year Accidental Damage Warranty for $299.99 with free shipping (normally $378.98 | via Dell). Dell Venue 11 Pro 64GB Windows 8.1 Tablet + 1-year Accidental Damage Warranty for $499.99 with free shipping (normally $763.27 | via Dell). 89 24” Dell UltraSharp U2413 PremierColor 1920x1200 IPS Monitor (2013 model) for $379.99 with free shipping (normally $599.99 - use coupon code:$PWG5126T786W?). 89 23” Dell U2312HM UltraSharp 1080p IPS Monitor for $169.99 with free shipping (normally $299.99). 76 Seagate 600 Series 2.5" 240GB SATA 6Gb/s 7mm Internal SSD for $109.99 with free shipping (normally $219.99). 60” Sharp LC-60LE650U 1080p, 120Hz LED Smart TV for $998 with Free $250 eGift Card & free shipping (normally $1,198). 87 55” Samsung UN55F9000 3D 120Hz 4K Ultra LED Smart TV for $2999.98 with free shipping (normally $4,499.98). 50” Samsung Un50EH5300 1080p 120Hz LED TV for $647.99 with Free $150 eGift Card & free shipping (normally $899.98). VIZIO E601i-A3 60" 1080p 120Hz LED HDTV + $300 Gift Card for $998.00 with free shipping. 39” Seiki SE39U704 2160p 4K LED TV for $482.99 with free shipping (normally $699). Nintendo Wii U Game Console w/Skylanders and Carrying Case Bundle for $319.99 with free $25 eGift Card & free shipping. XBOX 360 4GB Kinect Holiday Bundle for $199.99 with free shipping (normally $299.99). NBA 2K14 (XBOX 360) for $39.99 with free shipping (normally $59.99). Jabra SOLEMATE Mini Wireless Bluetooth Portable Speaker (Exclusive RED only at Dell) for $79.99 with free shipping (normally $99.99). 81 Bose SoundLink Bluetooth Mobile Speaker II for $269.99 with free shipping (normally $299.99). 84 Sonos PLAY:3 Wireless HiFi Music Streaming System for $299.91 with free shipping (normally $349.99). Foscam FI8918W Wireless Camera w/ Night Vision for $44.99 with free shipping (normally $139.99). 79 Logitech 915-000194 Harmony Smart Control w/ Smartphone App for $89.99 with free shipping (normally $119.99). Sony MDRX10 Red X Headphones w/50mm Drivers for $99.99 with free shipping (normally $199.99).